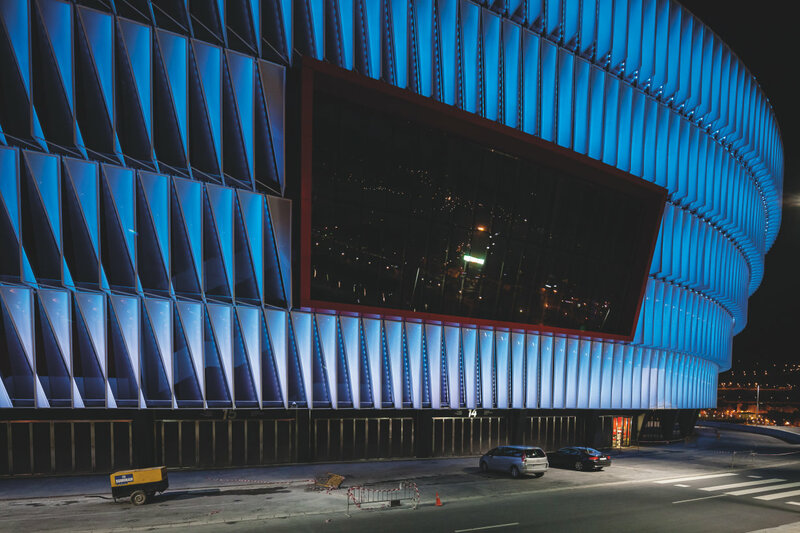 Designed with the concept of energy and unity, the new San Mamés Stadium is the home for the Athletic Club of Bilbao, one of the biggest European football clubs. It replaced the previous 100-year-old San Mamés stadium, which was popularly referred to as the cathedral of football. While maintaining the atmosphere of the old cathedral, the new Stadium is designed with modern elements to connect with the city and its surroundings. A total of 2,500 vertical sails are mounted on the façade as five horizontal rings around the new stadium. Each sail, five meters high and twisted at 90 degrees, is illuminated by 17 individually controllable Dot XL-6 RGB. Special profiles were created to house the Dot XL-6 perpendicular to the sails. To obtain perfect beam spread, every dot is positioned on a different angle to prevent direct view to the Dots. 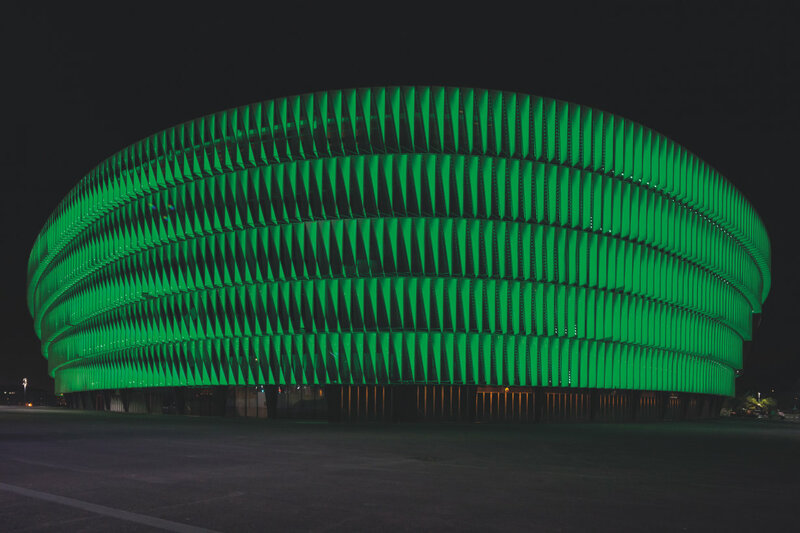 A total of 42,500 RGB LED dots illuminate the façade of the stadium, creating stunning lighting effects and amazing media content. Various dynamic lighting sequences are played via e:cue Video Micro Converter (VMC) paired with the Lighting Control Engine fx (LCE-fx). 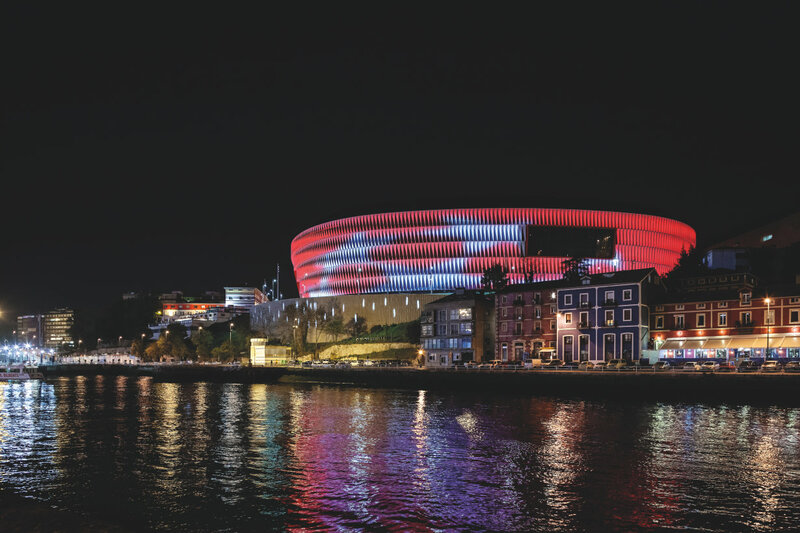 The 360-degree multimedia façade gives a unique character to San Mamés stadium, creating an urban landmark over the estuary of Bibao.